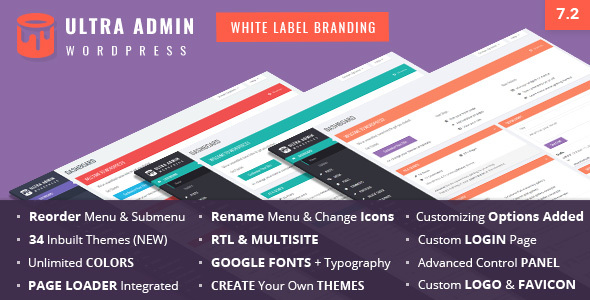 This is package of 3 powerful WordPress White Label Admin Themes. 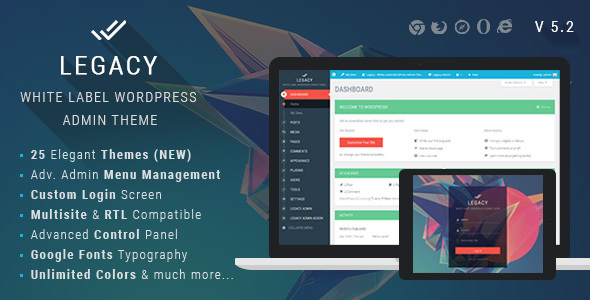 These 3 plugins included are Ultra WordPress Admin Theme, Legacy – White label WordPress Admin Theme and Material – White Label WordPress Admin Theme. These Plugins are compatible with both LTR and RTL modes so can be used for any language. Also they are Multisite compatible. Try it and we guarantee you will get addicted. 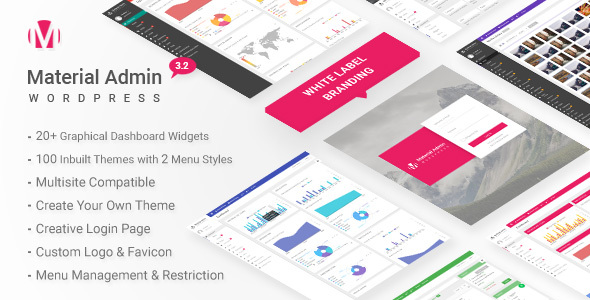 With these White Label Branding plugins you can Rename plus Rearrange menu and submenu items, Change menu icons, Control Top bar links, Customize Footer, Plugin access permissions, Login page customizing options etc. These features help you to design web project (in WordPress) for your clients with your/their own company branding. Control Default Dashboad Widgets also.